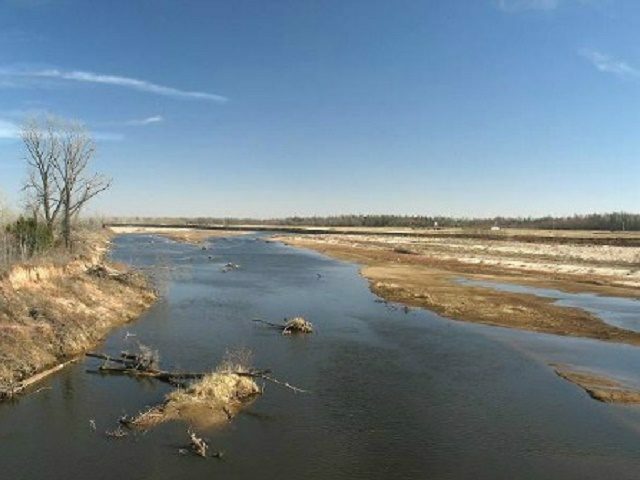 The U.S. Bureau of Land Management (BLM) Oklahoma Field Office responded to Breitbart Texas about the so-called Red River “land grab” by emphasizing that parcels in question are already held in the public domain and BLM-managed. The Bureau claims it is not they who are declaring the ownership but that settled case law long declared it to be government land. BLM Public Relations Specialist Paul McGuire agreed to a one-on-one telephone interview with Breitbart Texas after reading the original report published earlier this week. In contrast with the interview with Texas General Land Office Commissioner Jerry Patterson, McGuire expressed much more confidence about the ownership of the land and indicated little, if any, ambiguity about how or why the land should be under federal control. Both McGuire and Patterson agreed about the unique set of political and historical circumstances that led to this situation of confusing and apparently conflicting laws regarding the property ownership and control of land along the Red River boundary between Oklahoma and Texas. However, there is disagreement on a couple of major sticking points. Commissioner Patterson believes strongly that, as part of the planning process, a survey project must be completed to determine exactly where the boundaries are located, and, if they have moved, what the cause of the movement was as the cause relates directly to ownership changes. Patterson also questions why the BLM suddenly feels the need to manage land they have ignored for decades–if not centuries. For direct comparison, the Breitbart Texas interview with Texas Land Commissioner Patterson can be found below.